As the clocked ticked past the midnight hour into Monday, the 1st of May, heralding the Mayday holiday observed by multiple countries around the world, many of the KHL players’ contracts expired, triggering a flurry of activity among agents, coaches, club management and players. 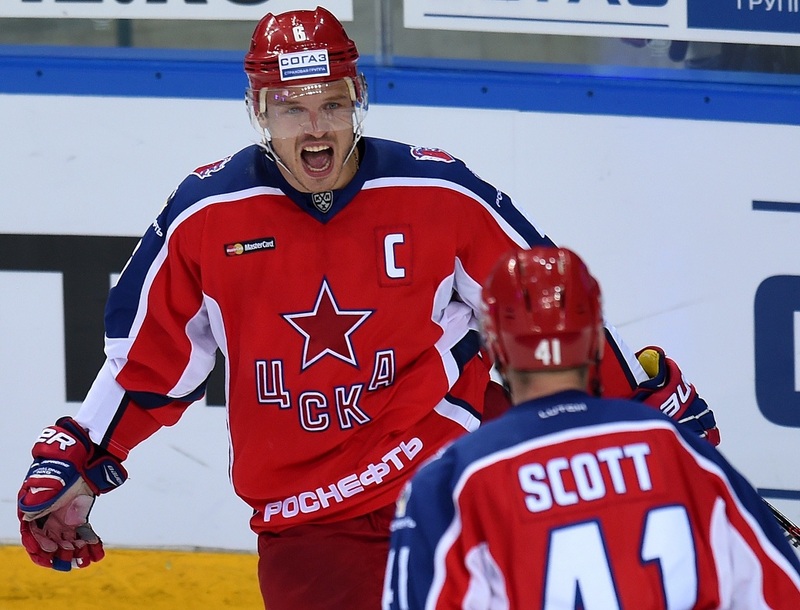 The most significant coup was CSKA Moscow’s signing from Salavat Yulaev of Kirill Kaprizov, one of the most exciting young performers during the 2016-17 season. The forward only turned 20 last Wednesday, the 26th of April, yet despite his team’s struggling form he recorded 42 (20+22) points in the regular season and also found the net in the playoffs. CSKA also launched a raid on Sibir, tempting 24-year-old forward Sergei Shumakov (in exchange for another young attacker, 21-year-old Alexander Sharov, and a transfer fee), his fellow 24-year-old forward, Maxim Shalunov (for a fee), and 22-year-old forward Konstantin Okulov, again for financial compensation, plus there is a return to the Moscow Army Men for 22-year-old defenseman Kirill Vorobyov, who spent last year with Torpedo and Sibir but formerly of CSKA. CSKA also enlisted 20-year-old Avtomobilist defenseman Alexei Vlaskin in an exchange deal, which sees the Yekaterinburg men receive 20-year-old forward Ivan Kashtanov and the rights to 17-year-old Ivan Petrakov. Another club to embark on a holiday shopping spree was Torpedo. 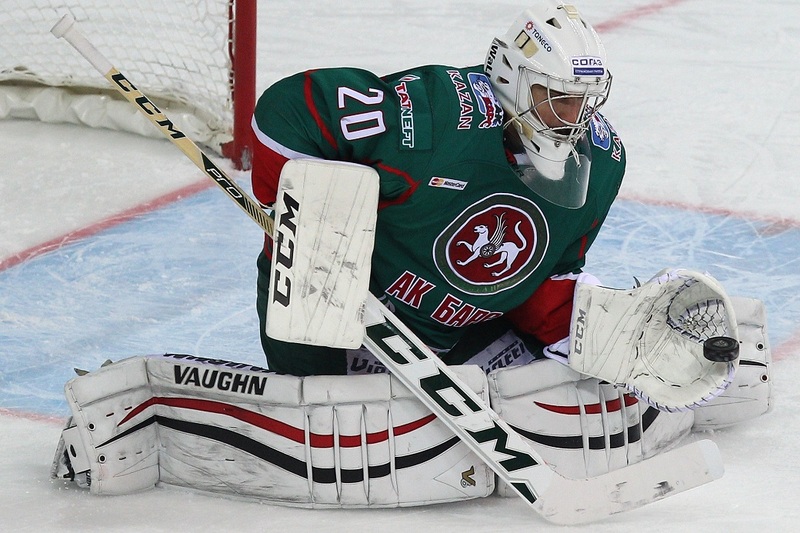 The Nizhny Novgorod men agreed one-year deals with no fewer than ten new recruits: goalies Stanislav Galimov (from Ak Bars) and Ivan Lisutin (Avtomobilist); returning defenseman Maxim Kondratyev (after one season at Amur) and a phalanx of forwards: Mikhail Zhukov (Ak Bars), Denis Parshin (Salavat Yulaev), Gennady Stolyarov (CSKA), another prodigal son, Sergei Smurov, and a Foreign Legion offensive trio comprising Slovenian Ziga Jeglic (Slovan Bratislava), his compatriot Jan Mursak (CSKA) and Belarusian Sergei Kostitsyn (Dinamo Minsk). Also departing CSKA is 19-year-old forward Danila Kvartalnov, on his way to SKA Saint Petersburg, and 35-year-old defenseman Denis Denisov, who moves to Magnitogorsk. Among other players making Mayday departures were Traktor defenseman Maxim Osipov, who joins Salavat Yulaev; Ugra duo Alexander Sharychenkov (goaltender) and Yegor Orlov (defenseman), both of whom are returning to former club Dynamo Moscow; Lada trio Anton Shenfeld (forward, to Metallurg Magnitogorsk), and defenders Gleb Koryagin and Dmitry Sinitsyn (both to Dynamo Moscow); and finally, Sibir netminder Ivan Nalimov, who has moved eastward to Admiral. Finally, Salavat Yulaev has added a North European flavor to its ranks with the addition of 29-year-old Finnish forward Joonas Kemppainen, signed from Sibir, and 27-year-old Danish defenseman Philip Larsen, formerly of Jokerit and Ugra.